Louise Veninga-Zaricor, a noted entrepreneur, who co founded four companies with her husband Ben Zaricor when they moved to Santa Cruz, CA. in 1972 after marrying during the last year of their college education at Washington University in St. Louis. She has also authored two books on botanicals and co published three books during her career in the botanical and tea trade that was an international business until selling their company in 2005 to Tata of India. She then co founded her fourth company Fog Kist of Santa Cruz LLC with Ben and their three children. 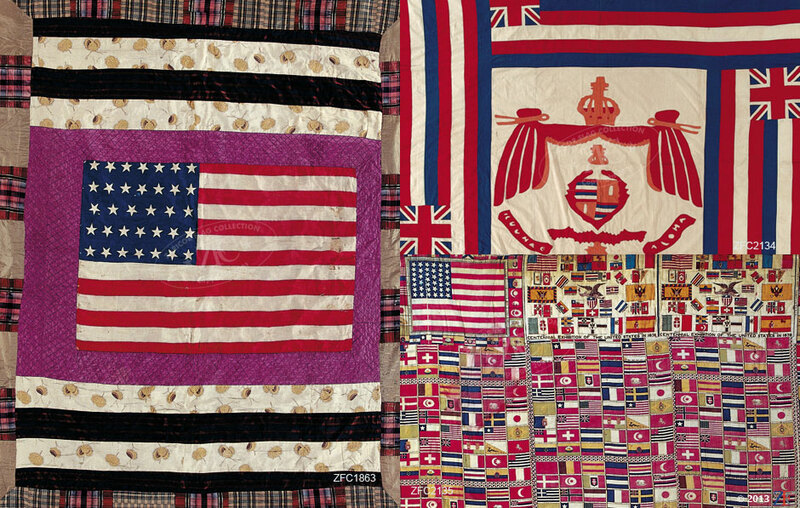 She has been collecting during her adult career in the area of flags, quilts, Kimono dolls, and rare books. She has collected in other areas of Americana. Louise's contribution to the Zaricor Flag Collection (ZFC) goes beyond the few hundred flags and quilts she collected for the ZFC. She was the confident to Ben Zaricor in deciding the acquisition of flags and related items to add to the Collection. Her trained eye complemented Ben Zaricor's skills for determining an item's relevance and its importance. She often saw what Ben missed or did not think about. The particular dimension she brought to the ZFC is one of the main reasons the ZFC has the depth and breadth it is noted for. She showed particular strength in the selection of the European and Chinese pieces as well as the ability to spot items that had relevance when others could not see it. This was especially true of the ephemera in the collection. She and curator James Ferrigan were the other individuals that contributed value to the Collection. Not only did she tolerate the classic clash of the husband and wife friction when one of them had a mission (in this case the ZFC) that intruded on the domestic front at home she supported it in every sense of the word. Without such support the ZFC would not have reached the level of importance it enjoys today. It should be noted that the Louise Veninga Collection of over 700 items is dispersed throughout the Groupings of the ZFC.